RVs make great portable temporary housing — on the job site, when evacuating after a natural disaster, even when relatives come to visit! 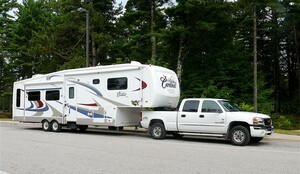 The 5th wheel RV trailer is way out in front in popularity when it comes to full time RVing. You do need to be careful hitching up, because dropping a 5th wheel can cause expensive damage. 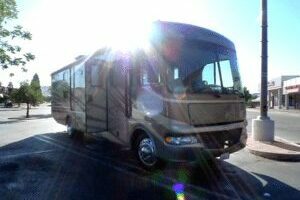 If you plan on leaving your RV in Arizona more than 6 months, then you need to register your RV in Arizona. It’s the law. 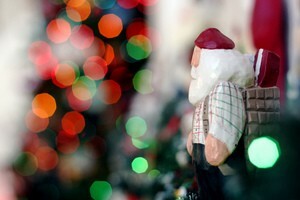 If you will be living or traveling in your RV during Christmas, it’s time to think about which holiday decorations you will use in and around your RV! 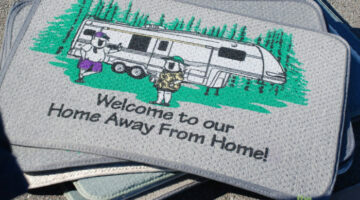 RV Mats & Rugs: Must-Haves For Every RV! No matter where you set up camp, you will inevitably have to deal with sand, gravel, pine needles, and leaves that get tracked in on the bottoms of shoes. A good welcome mat will help to eliminate most of the dirt and grime that would otherwise find its way into your RV kitchen or living room area. Impress everyone with your personalized RV Christmas card creations this year. 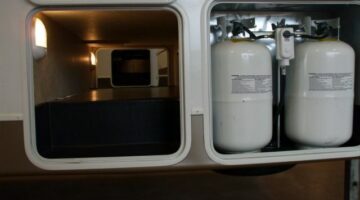 When you need to evacuate quickly what better way than in an RV. Here’s how to use your RV during times of emergency. Banking from the road is easy! In many ways, the methods you will use to accomplish your banking on the road are much quicker and more convenient than conventional banking practices. Did you know there are ways to travel at a reduced cost to you AND have an opportunity to actually make money out of the deal? 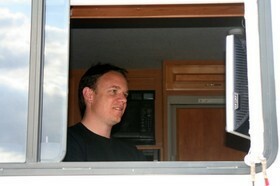 If you’re self-employed and you own an RV, there are a number of tax deductions you can take each year. Here’s the scoop. The main theme is to be conscious of the world around you, as an RVer. 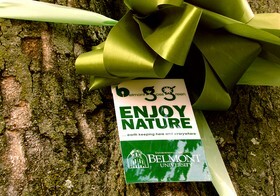 Take the time to learn, to enjoy, to participate. But more importantly, take the time to consider others. Following are some things we can ALL can do to make a difference for future generations of RVers. Wondering what RVers can do to maintain some level of physical activity that will keep you healthy and active for years to come? Here are some ideas — ranging from the simple and traditional to the high-energy and even high-tech options! Relatives Coming To Visit? Let Them Stay In Your RV! Setting up your relatives in your RV will be a benefit to both sides of the family. You can still maintain some of your day-to-day routine while offering a certain level of privacy for your guests. Here are some tips for dealing with visiting relatives who might be staying in your RV. Tired of the cold and snow? A number of years ago, my wife and I reached the point of ‘Enough Already’, so we packed up the motorhome, hit the road and headed south. We learned a few things along the way that may be helpful if you’re brand new to the idea snowbirding in search of warmer weather during the winter months. Here are some fun Fall ideas for RVers: pumpkin patches, corn mazes, hayrides, haunted houses, and ghost tours. And throughout the autumn months, you can enjoy beautiful scenery from the seat of your RV by visiting the Northeast, Southeast, or Midwest when fall foliage it at its peak. Here are the details. As a full time RVer, you need an insurance policy that is similar to a homeowner’s insurance policy. 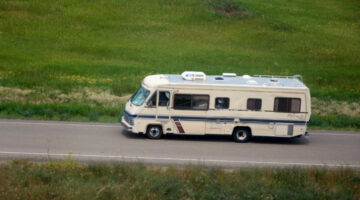 Adding your RV onto your standard auto insurance policy isn’t enough. Find RV insurance online with these reputable companies that insure RVs. As a fulltime RVer, here’s how to determine the best state to declare residency in — based on state and local taxes. If you’re thinking about becoming a full time RVer, check here first! We made the decision to hit the road as full time RVers with little more preparation than a few years worth of subscriptions to Trailer Life magazine. We made many mistakes along the way. Hopefully these tips will help you avoid some of the pitfalls that we fell victim to during our first year of fulltime RVing! 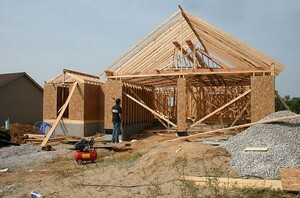 There are a wide variety of possibilities for providing a source of income to the full time RVer. Some may take a bit of thinking outside the box so to speak, but that’s what makes them fun and enjoyable!